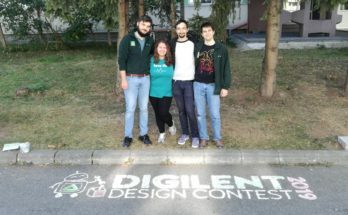 Hello and welcome back to the Digilent blog! 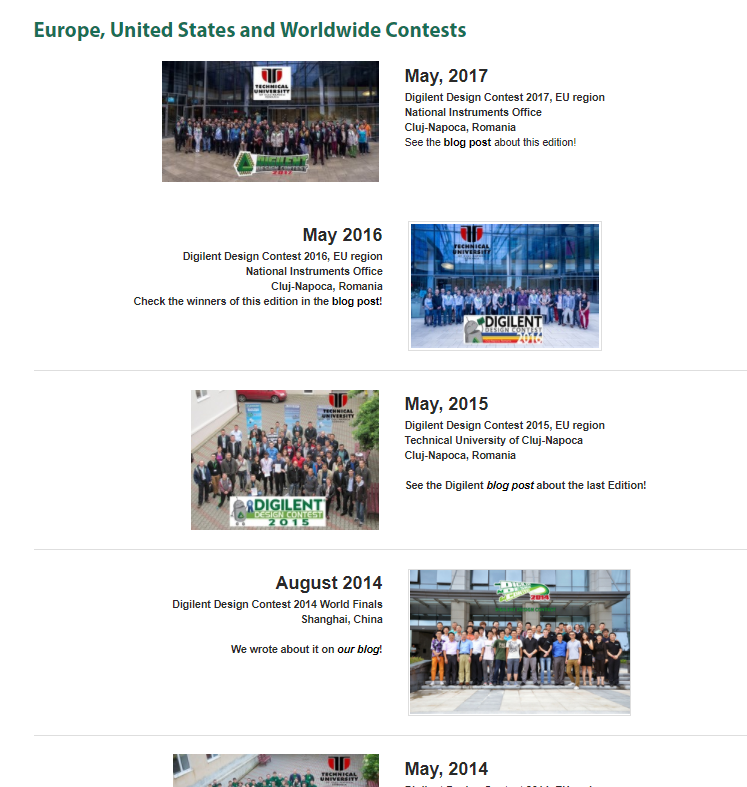 You may have seen our previous two posts detailing some of the incredible projects that have been entered in the Digilent Design Content Europe 2016. Did you think that was it? Oh no, we have more projects to showcase! 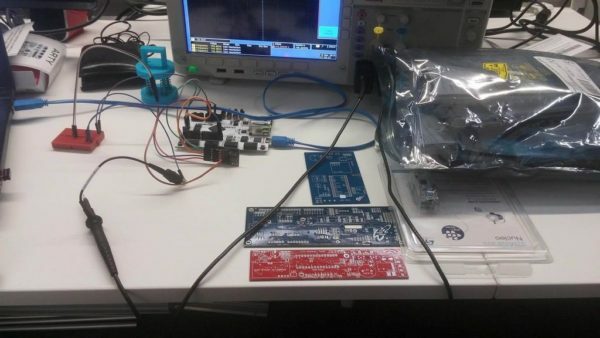 Sounding Rocket Avionics with FPGA – by Emre Erbuğa and Mert Kahyaoğlu: This project shows the electronic brain needed to control a rocket flight. It uses the Arty board, PmodACL, PmodGPS, and PmodCMPS. They are students at Istanbul Technical University in their 3rd year. They are also members of ITU ROCKET TEAM. ITU ROCKET TEAM joined Intercollegiate Rocket Engineering Competitions in June 2015 (Green River, Utah, USA), hosted by ESRA. The emphasis of the ESRA rocket competitions is student design and construction of as many parts of the rockets as possible, including propulsion, structures, avionics, recovery, and payloads. 2. Digital Low Bit-rate Voice Communication – by Ionut Lates: From Military Technical Academy, Bucharest, Romania, this project provides a solution for communications problem when a critical situation appears. A critical situation could be a wildfire, a military action, or a natural disaster; anytime when normal voice transmissions stop satisfying our needs. The Digilent component used is the ZedBoard. 3. 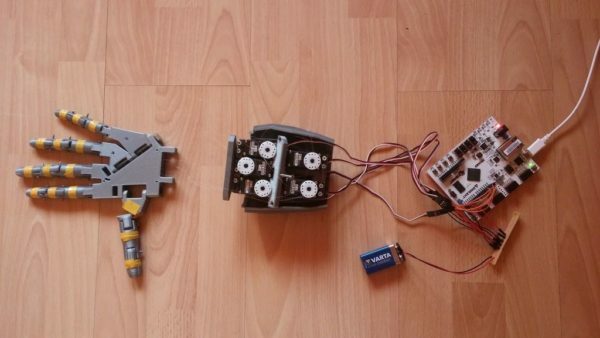 DIY Robotic Hand – by Dorin Frunzete and Andrei Cioara: The basic components of the hand are the servos, the Arty board, the glove, and the flex sensors. The glove is built with flex sensors that have variable resistors that change their resistance value when bent. They are junior students at the Faculty of Electronics and Telecommunications in Cluj-Napoca. 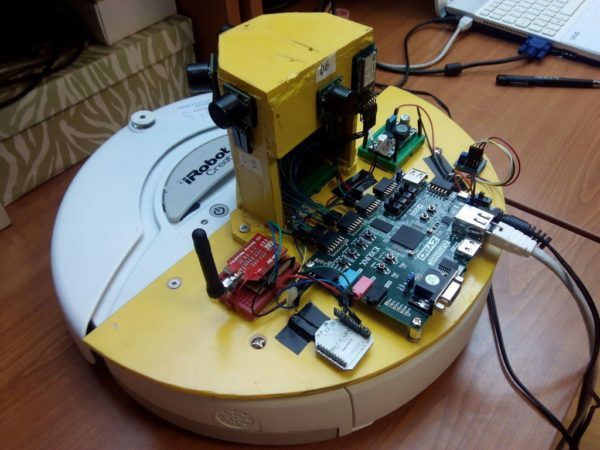 An embedded vision system supporting the home care for convalescent or elderly people. The goal is to implement a hardware-software vision system designated for home care of elderly people or convalescents. The project is based on visual analysis of person’s behavior, so the system is designed to detect health or life-threatening situations like falls, fainting, or lack of movement for a long period of time. 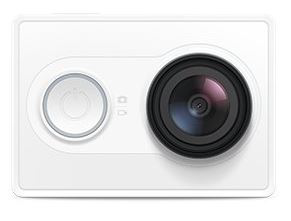 It uses the ZYBO board. They are from the University of Science and Technology, in Kraków, Poland. 5. The Pathfinder Zybot – by András Erdős and József Zákány: This robot is designed to bring an object from any one location to another. This task requires solving problems such as odometry, localization, mapping, continuous communication with the user(s), and to detect and handle unplanned barriers. 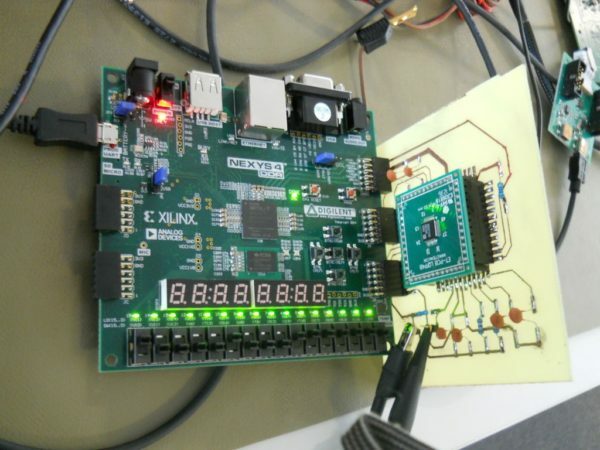 The project uses the ZYBO board, PmodCMPS and PmodBT2. András and József are master students at the University of Debrecen in Hungary. 6. Radio Transmitter – by Gabriel Andrei Cochior: A senior student at Polytechnics of Timisoara, Romania, the main purpose of this project is to build a digital radio transmitter using an FPGA development board (Nexys4 DDR) from Digilent, a hardware description language (VHDL), and a high speed digital to analog converter from Analog Devices ADV7123. Currently the radio can be used up to 6 MHz at 50 MSPS. 7. 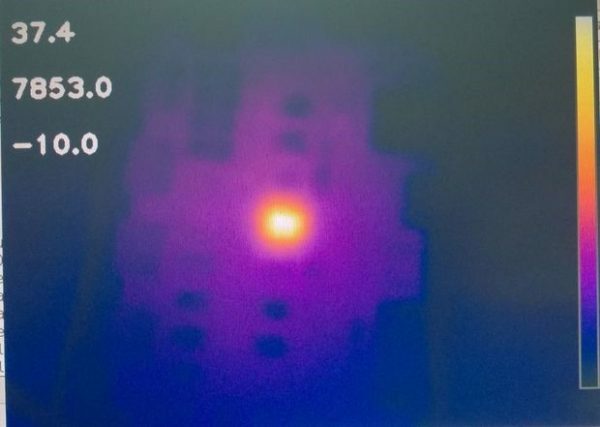 Thermal Imaging Camera – by Bogdan-Flavius Komlosi, Orlando-Dorel Curuti and Brandon Mitar: Bogdan is a freshman, Orlando is a sophomore, and Brandon is a junior student at the Polytechnics of Timisoara, Romania, Faculty of Electronics and Telecommunications. We hope you were impressed enough by the entire series of projects so that you will check the Design Contest website to see the winners and the final projects!